As anyone with children knows, when buying a new toy it’s often the cardboard box it comes in that provides the most enjoyment. 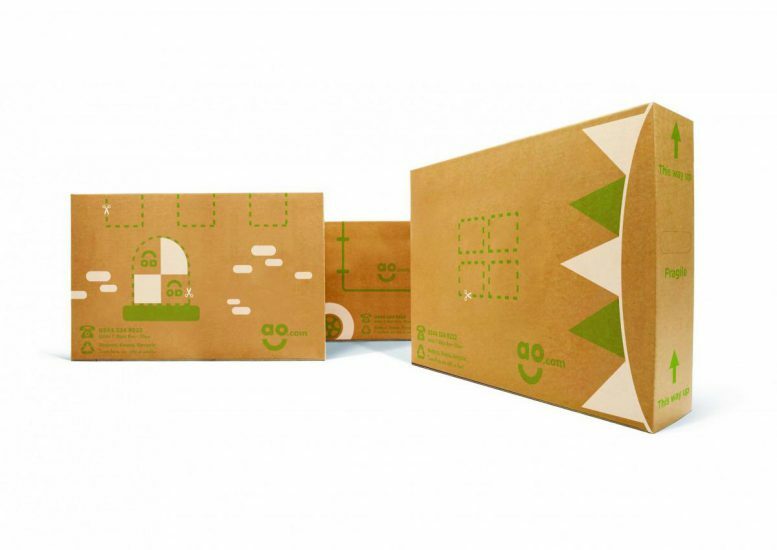 From makeshift dolls houses to cars and planes, the lowly cardboard box can become anything in imaginative little hands. Eight year old Harry Tierney got in touch with delivery company AO.com to invite them to play after transforming one of their boxes into a fort for him and his friends. This year Mummy got a big shiny fridge from you for Christmas. I like it when big presents come in big boxes because I can make a fort that grown-ups can’t come in. This is a picture of me in my fort, it’s the biggest I have made. David Lawson, managing director of AO.com was “very impressed” by Harry’s fort and the “fantastic detail” of the windows and drawbridge. 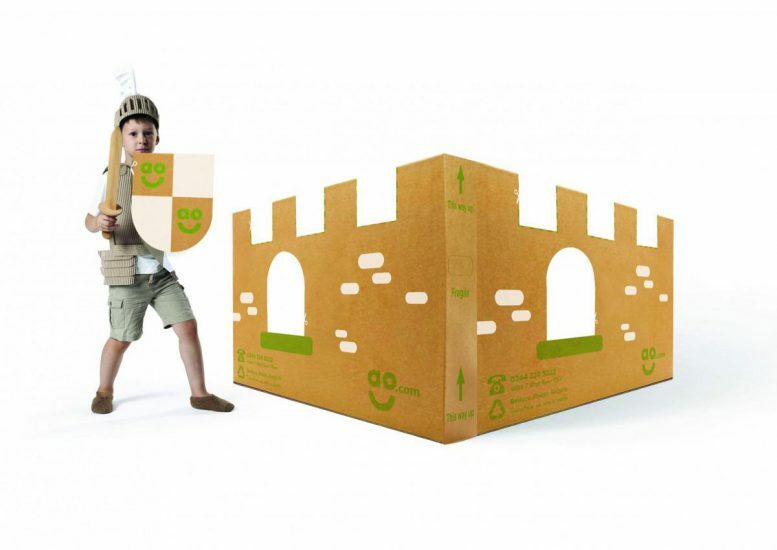 Following the young boy’s letter, the company have announced a redesign of their packaging to easily allow children to create their own castles in the future; using dotted lines to mark the placement of the doors and windows. 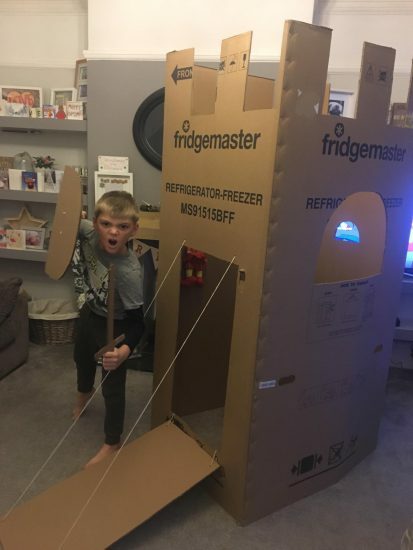 Harry’s mum Gemma said: “As soon as the fridge freezer arrived, Harry was asking me if he could have the cardboard box, and five minutes later he was creating this amazing fort.